Bar Admission: New York, Colombia, United States Court of Appeals for the Second Circuit, United States District Court for the Southern District. 1994 J.D. Universidad Externado de Colombia, Bogotá, Colombia. Selected for a competitive three year training program to become a professor of commercial law. Experience: Lyda Marcela Tyburec is currently an Administrative Law Judge for the New York City Health Tribunal. She also co-founded the International Center for Human Rights Advocacy, an international human rights non-profit organization in the United States, and serves as a board member. She previously was a staff attorney at Manhattan Legal Services where she litigated in Civil Court (Housing Part) and Supreme Court for almost four years. Prior to that, she interned for the Honorable Dora L. Irizarry of the United States District Court for the Eastern District of New York. 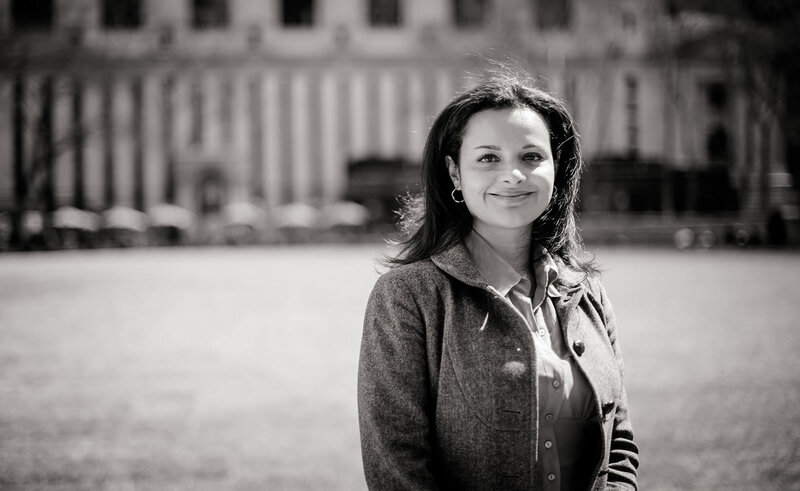 Prior to working for Judge Irizarry, she interned for the Immigration Unit of the Legal Aid Society and for the Foreclosure Prevention Unit of Legal Services NYC. In addition, before she attended Cardozo law school, she was a law clerk for a boutique firm located in New York specializing in employment discrimination. In Bogotá, Colombia, she served for seven years as in-house counsel for the two largest financial institutions, Bancolombia and Banco del Estado. Membership Associations: Lyda is a Member of the Staten Island Women’s Bar Association.